Google has quietly updated the availability of real-time translation services via the Google Assistant. As Android Central spotted this weekend the cool and convenient feature of its smart device AI is now available on any Android 6.0+ device, and all Assistant-optimised headphones. Previously: "Google Translate on Google Pixel Buds is only available on Pixel phones"
Now: "Google Translate is available on all Assistant-optimized headphones and Android phones." The requirement of Android 6.0 isn't that much to ask, as long as someone owns a relatively modern handset. However, Google Assistant headphones aren't so common. Third party headphones such as the LG Tone Platinum SE neckbuds, JBL Everest 110GA and Everest 710GA, the Sony 1000XM2, and premium Bose QC 35 II do fit the bill though. While you are wearing the headphones invoke your Google Assistant (varies depending upon product). Tell Google Assistant to help you interpret a language. For example, say "Help me interpret Spanish." Google Translate will launch on your phone in the selected language. Touch & hold the Google Assistant button. Start speaking in the language listed under the headset icon. Release your finger from the button when finished. Your phone will then translate what you said in your selected language, so the other person can understand it. Hold your finger on the microphone icon in your Google Translate app. After the chime, have the other person respond back to you in the language listed under the microphone icon. When they're done responding, release your finger from the microphone icon. When the second person is done speaking, their response will be translated into your language and played back to you in your ears via your Google Pixel Buds (or other GA compatible headset). There are 40 languages that are supported for real-time translate at this time. Please check the table below to see if the languages you are interested in are included. 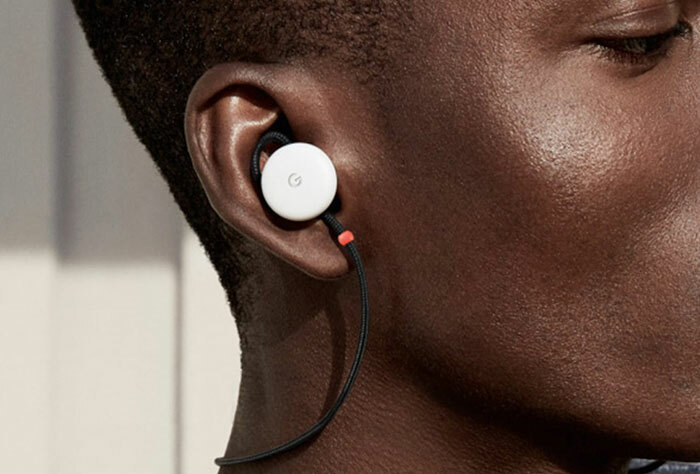 Google didn't launch any new set(s) of headphones alongside the Pixel 3 smartphones last week. But will continue to support the existing range of Dash Button hardware devices. The LG Dual Screen is an optional accessory for the new LG V50 ThinQ 5G smartphone. And it is backwards compatible with the legacy microSD interface. Clever - better than sticking a fish in your ear. Will a fish record your conversation and then use it to define which products to advertise at you next time you log in? I'm afraid this species of translator is vastly more invasive. Well, some uni flatmates of mine taught me some really choice Arabic swear words. I'm tempted to use this to tell Google where to shove it …. other than their ear. Why is it that everyone wants to learn or are taught swear words of foreign languages ? Always puzzled me!